Some experts out there say that red wine, dark chocolate, and nuts are good for your health. Well, we listened and decided to provide our customers with just what the doctor ordered. And, while we can't provide the wine, two out of three ain't bad! Our new chocolate bar combines 67% dark chocolate with our Blister Fried Peanuts and a touch of sea salt to create a truly incredible treat. Please note that due to the artisanal nature of this gourmet product supplies are often limited. Hand made by the Davidson Chocolate Company just for us. The chocolate bar is outstanding. I can not wait to they come back in season! This is the best dark chocolate I have tasted and the peanuts have the right amount of salt. I'm glad the hot weather is over and the chocolate can be shipped again! 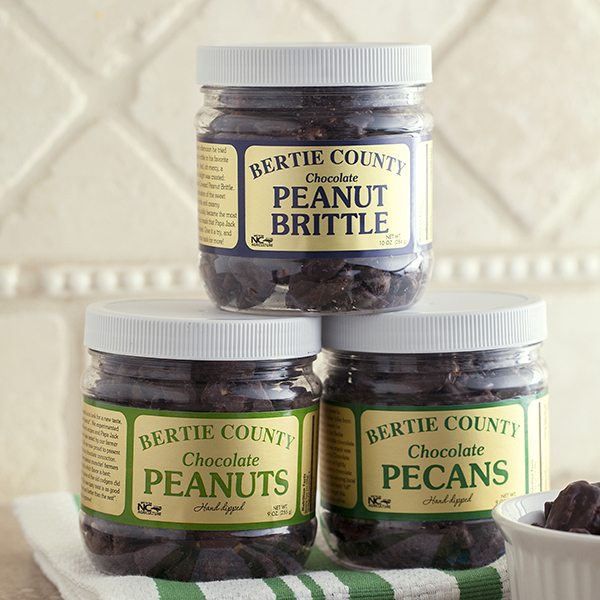 My husband is the most picky when it comes to his dark chocolate and just as picky when it comes to fresh peanuts! Imagine my surprise and pleasure when he declared this chocolate bar to be the BEST he has ever had. They stay fresh for a long time too; he stashed one away and forgot it was there. I found it cleaning out the pantry (been there since May I believe) and it still tasted as fresh as the day we got them! Here to reorder another batch of them. The chocolate bar continues to rate as the best chocolate bar I have tasted!! 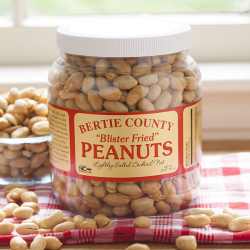 Owner Response:Sorry to hear that you did not like the peanuts. We'll be in touch regarding our 100% guarantee. Owner Response:Sorry you did not like the chocolate bar; however, as it is 67% dark chocolate, it is supposed to have a bitter taste. We'll be in touch regarding our 100% guarantee. These bars are ok if you like real dark chocolate. Sweet and salt very good together. Can't wait to buy more. 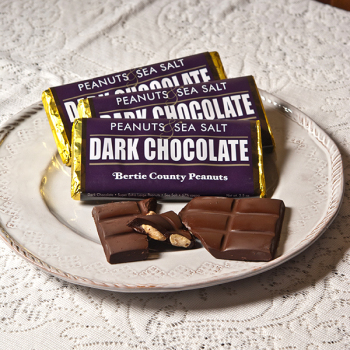 I've been searching and searching for a dark chocolate peanut bar and was delighted to discover these on your website while placing my order for raw peanuts. They are wonderful! Keep them coming. I'll be back for more. Love all of the sweet taste nut. Was disappointed with the in shell roasted nuts. They were stale. Owner Response:Sorry to hear that you found the peanuts to be stale. We'll be in touch! These are outstanding and well worth the money. They were delivered quickly and in appropriate secure packaging.